Thank you for visiting gnomedominium. 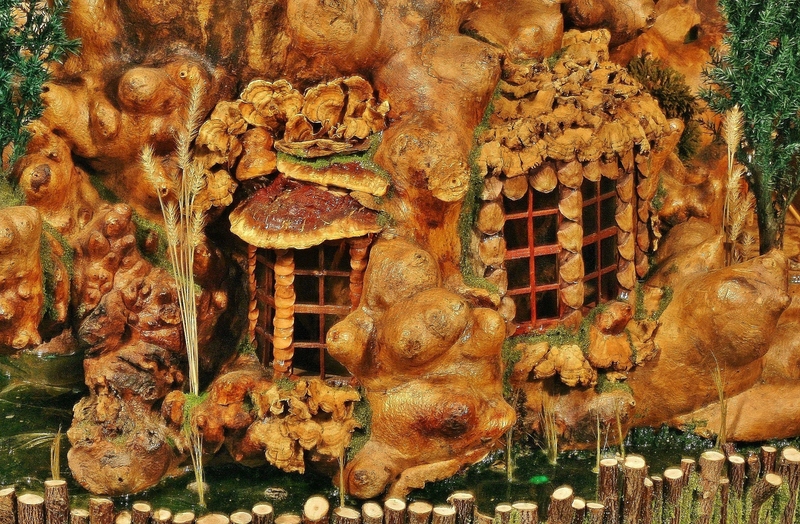 Louis Nyikon been in business since 1989, creating “gnome homes” which are carefully selected pieces of wood with character. We take roots, stumps, drift woods, or old fence posts carvings it into a pieces of art. Lou, plays architect, carving and creating amazing structures you can purchase and make creative choices of how you want to decorate – making it your own. Gnomedominium has entered many exhibits, art fairs and contests, in the past years with some of these designs. Many of these pieces have taken 1st place with the judges and not to brag, won peoples’ choice every time our designs have entered into a show, Gnomedominium has been a winner! Please feel free to browse the site, you will find a tour of our Crystal Lake Collection featuring Cabins, Camps, Lodges, Manors and more! All items on the site are for sale to the people who will enjoy it as we do. If you find that you would like to purchase, the prices include shipping to USA and Canada.